Aluminum Die Casting Manufacturer of China Skyrock Industry Specialized In Aluminum die Casting. As a specialist aluminum die casting manufacturer, facilities for Skyrock Group contains 20 sets cold chamber die casting machines from 150 ton to 1000 ton, 30 sets hot chamber die casting machines from 5 ton to 400 ton,14 sets CNC machines, 3 sets powder coating & wet painting lines, 2 sets of barrel plating & rack plating each which can make chrome plating, nickel plating and gold plating. With all the professional machines manufacturing trustworthy and best quality aluminum die casting products to our customers. Products are widely used in the industry of electron, mechanism and automobile partially, etc. We are professional manufacturer of aluminum die casting.We have several types of die casting products. Our aluminum die casting are produced by OEM/ODM. Customer's prints, specifications and samples are accepted. 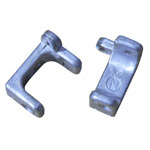 We have custom and quality castings for a wide range of industrial market, and high reliability. Therefore, we can provide you high-quality products and competitive price. Welcome to inquire us. 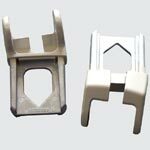 Our aluminum die casting products are produced professionally. We can make products according to customers' prints, specifications and/or samples. Every series of aluminum die casting is good design and precise production. OEM/ODM orders are accepted. We provide high-quality and competitive price. If you are interested in our products, please feel free to ask us. Skyrock is professiongal manufacturer of aluminum die casting. Many kinds of products for you to choose. Wide range of precise aluminum die casting mould and products applied for construction components, die casting radiators, interphone housing, aluminum profile and die casting hardware etc in different sizes, also specialize in mold design and molding process. Please provide the product specification which you needs. We will contact with you immediately. 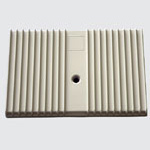 We have experiences of producing aluminum die casting. 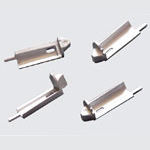 We have several types of die casting products. 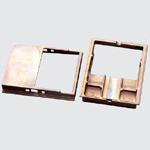 Our aluminum die casting are produced by OEM/ODM. Customer¡¦s prints, specifications and samples are accepted. 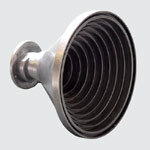 We have custom and quality castings for a wide range of industrial market, and high reliability. Therefore, we can provide you high-quality products and competitive price. Welcome to inquire us. 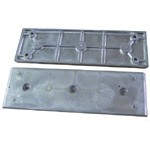 Aluminum die casting products are produced professionally. We can make products according to customers' prints, specifications and/or samples. Every series of aluminum die casting is good design and precise production. OEM/ODM orders are accepted. We provide high-quality and competitive price. If you are interested in our products, please feel free to contact us. We produce aluminum die casting professionally. We have many types of products for you to choose. Wide range of precise aluminum die casting mould and products applied for construction components, die casting radiators, interphone housing, aluminum profile and die casting hardware etc in different sizes, also specialize in mold design and molding process. Please provide the product specification which you needs. Our company will contact immediately with you. Skyrock is a professional manufacturer of aluminum die casting. 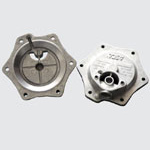 We have several types of die casting products. Our aluminum die casting are produced by OEM/ODM. Customer¡¦s prints, specifications and samples are accepted. 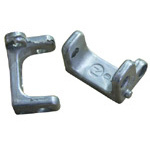 We have custom and quality castings for a wide range of industrial market, and high reliability. Therefore, we can provide you high-quality products and competitive price. Welcome to inquire us. 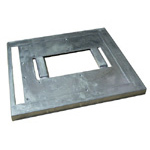 Our aluminum die casting products are produced with high standard. We can make products according to customers' prints, specifications and/or samples. Every series of aluminum die casting is good design and precise production. OEM/ODM orders are accepted. We provide high-quality and competitive price. If you are interested in our products, please don't be hesitate to contact us. Our conpany produce aluminum die casting professionally. A lot of kinds products for you to choose. Wide range of precise aluminum die casting mould and products applied for construction components, die casting radiators, interphone housing, aluminum profile and die casting hardware etc in different sizes, also specialize in mold design and molding process. Please provide the product specification which you needs. Our company will contact immediately with you. We are professional manufacturer of aluminum die casting. 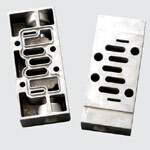 Our company has several types of die casting products. 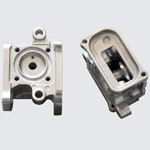 Our aluminum die casting are produced by OEM/ODM. Customer's prints, specifications and samples are accepted. 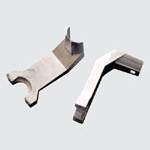 We have custom and quality castings for a wide range of industrial market, and high reliability. Therefore, we can provide you high-quality products and competitive price. Welcome to inquire us. 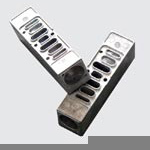 Our aluminum die casting products are produced professionally. We can make products according to customers' prints, specifications and/or samples. Every type of aluminum die casting is good design and precise production. OEM/ODM orders are accepted. We provide high-quality and competitive price. If you are interested in our products, please feel free to ask us. We produce aluminum die casting with high standard. A lot of kinds products for you to choose. Wide range of precise aluminum die casting mould and products applied for construction components, die casting radiators, interphone housing, aluminum profile and die casting hardware etc in different sizes, also specialize in mold design and molding process. Please provide the product specification which you need. Our company will contact with you immediately. 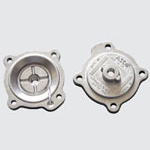 The products of Aluminum die casting which produced by us have high quality. We can make products according to customers' prints, specifications and/or samples. Every series of aluminum die casting is good design and precise production. OEM/ODM orders are accepted. We provide high-quality and competitive price. If you are interested in our products, please feel free to ask us. We produce aluminum die casting professionally. Many kinds of products for you to choose. Wide range of precise aluminum die casting mould and products applied for construction components, die casting radiators, interphone housing, aluminum profile and die casting hardware etc in different sizes, also specialize in mold design and molding process. Please provide the product specification which you needs. Our company will contact immediately with you. We are professional manufacturer of aluminum die casting. 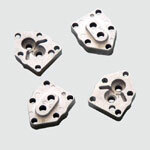 We have several types of die casting products. Our aluminum die casting are produced by OEM/ODM. Customer¡¦s prints, specifications and samples are accepted. 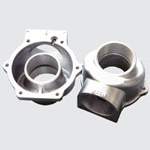 We have custom and quality castings for a wide range of industrial market, and high reliability. Therefore, we can provide you high-quality products and competitive price. Welcome to inquire us. 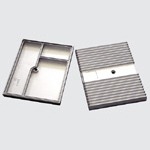 Our company produces aluminum die casting products professionally. We can make products according to customers' prints, specifications and/or samples. Every series of aluminum die casting is good design and precise production. And OEM/ODM orders are accepted. We provide high-quality and competitive price. If you are interested in our products, please feel free to contact us. We produce aluminum die casting with high standard. A lot of kinds of products for you to choose. Wide range of precise aluminum die casting mould and products applied for construction components, die casting radiators, interphone housing, aluminum profile and die casting hardware etc in different sizes, also specialize in mold design and molding process. Please provide the product specification which you need. Our company will contact with you immediately. We are professional manufacturer of aluminum die casting. 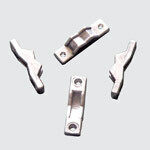 We have many types of die casting products. Our aluminum die casting are produced by OEM/ODM. Customer's prints, specifications and samples are accepted. 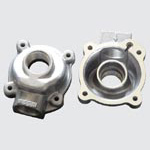 We have custom and quality castings for a wide range of industrial market, and high reliability. Therefore, we can provide you high-quality products and competitive price. Welcome to contact us. 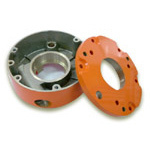 The products og aluminum die casting products are produced with high standard. We can make products according to customers' prints, specifications and/or samples. Every series of aluminum die casting is good design and precise production. OEM/ODM orders are accepted. We provide high-quality and competitive price. If you are interested in our products, please feel free to ask us. Our company produce aluminum die casting professionally. Many kinds of products for you to choose. Wide range of precise aluminum die casting mould and products applied for construction components, die casting radiators, interphone housing, aluminum profile and die casting hardware etc in different sizes, also specialize in mold design and molding process. Please provide the product specification which you needs. Our company will contact immediately with you. 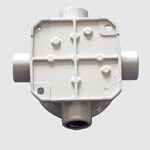 We are professional manufacturer of aluminum die casting. 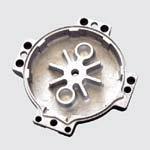 We have several types of die casting products. Our aluminum die casting are produced by OEM/ODM. Customer¡¦s prints, specifications and samples are accepted. 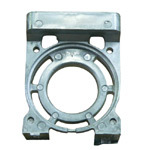 We have custom and quality castings for a wide range of industrial market, and high reliability. Therefore, we can provide you high-quality products and competitive price. Welcome to contact us. We produce aluminum die casting professionally. Several types of products for you to choose. Wide range of precise aluminum die casting mould and products applied for construction components, die casting radiators, interphone housing, aluminum profile and die casting hardware etc in different sizes, also specialize in mold design and molding process. Please provide the product specification which you needs. Our company will contact with you immediately. We produce aluminum die casting with high quality. 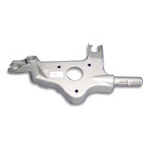 We have several types of die casting products. Our aluminum die casting are produced by OEM/ODM. Customer¡¦s prints, specifications and samples are accepted. 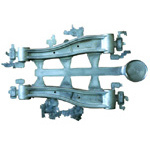 We have custom and quality castings for a wide range of industrial market, and high reliability. Therefore, we can provide you high-quality products and competitive price. Welcome to inquire us. 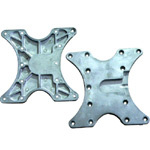 Our aluminum die casting products are produced professionally. We can make products according to customers' prints, specifications and/or samples. Every series of aluminum die casting is good design and precise production. OEM/ODM orders are accepted. We provide high-quality and competitive price. If you are interested in our products, please don't be hesitate to contact us. We produce aluminum die casting professionally. A lot of kinds of products for you to choose. Wide range of precise aluminum die casting mould and products applied for construction components, die casting radiators, interphone housing, aluminum profile and die casting hardware etc in different sizes, also specialize in mold design and molding process. Please provide the product specification which you needs. Our company will contact immediately with you. Our company is a professional manufacturer of aluminum die casting. 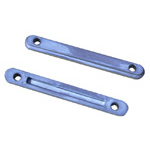 We have several types of die casting products. 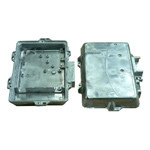 Our aluminum die casting are produced by OEM/ODM. Customer's prints, specifications and samples are accepted. 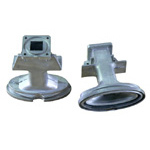 We have custom and quality castings for a wide range of industrial market, and high reliability. Therefore, we can provide you high-quality products and competitive price. Welcome to inquire us. 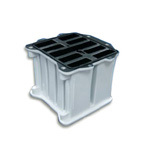 Our aluminum die casting products are produced with high standard. We can make products according to customers' prints, specifications and/or samples. Every series of aluminum die casting is good design and precise production. OEM/ODM orders are accepted. We provide high-quality and competitive price. If you are interested in our products, please feel free to contact us. We produce aluminum die casting professionally. We have many kinds of products for you to choose. Wide range of precise aluminum die casting mould and products applied for construction components, die casting radiators, interphone housing, aluminum profile and die casting hardware etc in different sizes, also specialize in mold design and molding process. Please provide the product specification which you needs. Our company will contact with you immediately. Our company is a professional manufacturer of aluminum die casting. 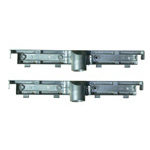 We have several types of die casting products. Our aluminum die casting are produced by OEM/ODM. Customer¡¦s prints, specifications and samples are accepted. 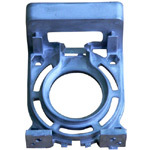 We have custom and quality castings for a wide range of industrial market, and high reliability. Therefore, we can provide you high-quality products and competitive price. Welcome to inquire us. 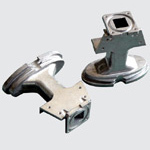 Our aluminum die casting products are produced with high standard. We can make products according to customers' prints, specifications and/or samples. Every series of aluminum die casting is good design and precise production. OEM/ODM orders are accepted. We provide high-quality and competitive price for you. If you are interested in our products, please don't be hesitate to contact us. 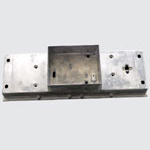 Our aluminum die casting products are produced with high standard. We can make products according to customers' prints, specifications and/or samples. Every series of aluminum die casting is good design and precise production. OEM/ODM orders are accepted. We provide high-quality and competitive price. If you are interested in our products, please feel free to ask us.